One of the big questions around the World Cup in Brazil is: Who is going to be the top goal scorer aka the winner of the Golden Boot? If you take a look on the last World Cups you can see that unexpected things are likely to happen. 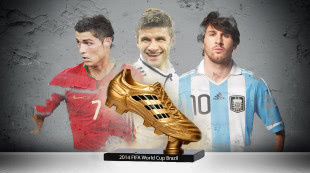 Look at the last tournament in South Africa: 20 year old Thomas Müller scored 5 times and became the best goal scorer. His German fellow Miro Klose did the same at the World Cup in Germany (5 goals) 4 years earlier. The last one who became the top goal scorer and even world champion was the Brazilian Ronaldo, back in 2002. Another Ronaldo is one of the big favourites in Brazil, but this time it is Portugal’s Cristiano Ronaldo. But there are others who do very well know how to score goals. For example Sergio Aguero, Luis Suarez, Diego Costa, Gonzalo Higuain or Netherlands Robin van Persie. They are now one of the highlights of every World Cup and in the 2014 World Cup in Brazil they spring up like mushrooms from the ground. They convey peoples solidarity and enjoyment of the sport and with each other. 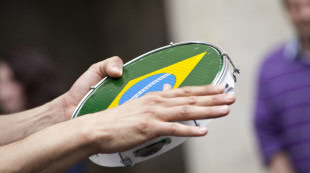 What we are talking about are the ever-popular World Cup songs. The Tipico Fantasy-Bet is a new possibility in sports-betting and a good alternative to the common forms of betting. You get the possibility to place bets on football-matches, which are not taking place in reality. The two opponents facing each other at the Fantasy Bet are playing their real live games against totally other teams. On this page we offer football and sporting bet news. Our Livetipsortal betting news includes updates and offers from all bookmakers and betting companies. We offer an overview of current trends in sportsbetting and news from the world of football. Our betting news have a main focus on football bets. All the important leagues are included in our news section: Results, transfers, game schedules and statistics of international top football leagues are included on our page along with news from games of national teams. This means that the European and the World Cup and all the games that precede them are also included in our betting news. Our news focus on the multitude of online bookies (here you can find our sportsbook reviews), bonus offers and changes in bonus conditions, free bet offers, etc. 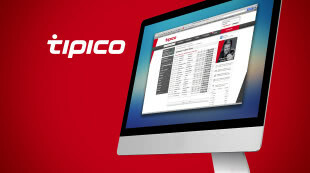 Further we introduce new and exciting ways to bet – such as the Tipico fantasy bet. Our goal is to keep users up to date on news in the field of bets, inform them about trend and give them a comprehensive insight in the topics of sporting bets and football. It is our pretence to deliver any and all important information quickly, reliably and comprehensively. The site gives an overview of popular bets and shows where, statistically, the biggest profits can be achieved. All this is based on data and hard facts and shows new developments in the betting sector. Our sporting bet news are a channel for news on worldwide football, live betting offers and news on international highlights as well as offers from bookmakers. Another highlight is the presentation of betting strategies and their projected success rates. Just like the betting tips our news are aggregated by our experts, who use their extensive knowledge, their experience and passion for every article. They report on current sporting bets, betting news and football news. All relevant information is presented clearly and thoroughly analysed. This makes our betting news a full service package for every betting enthusiast. The sportsbetting news make it possible, together without betting tips, to place an informed and well thought out bet.